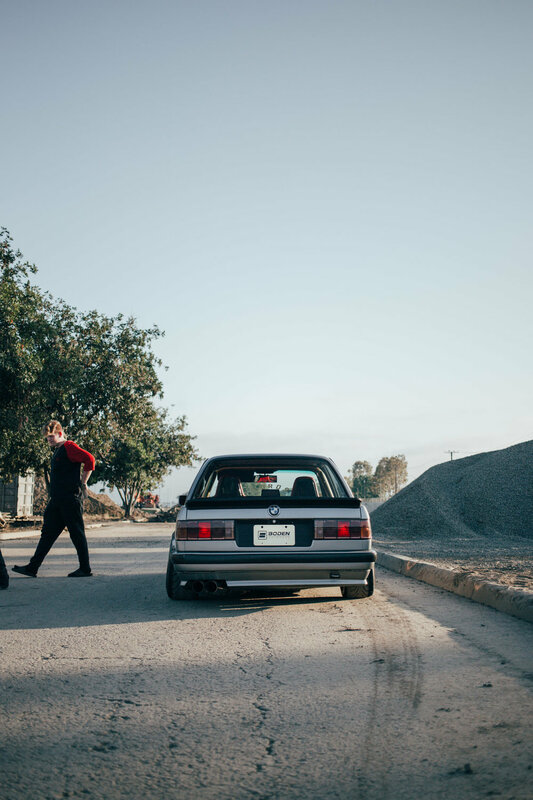 The story of Garrett and his BMW begins much like any other. 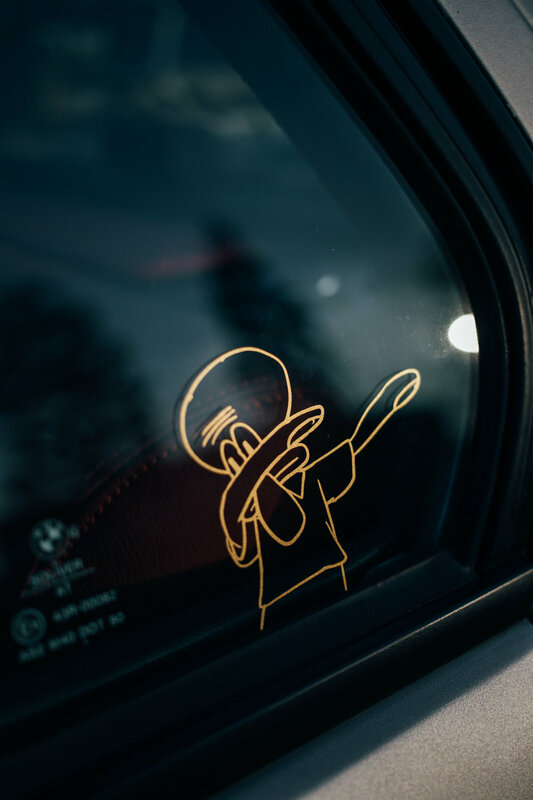 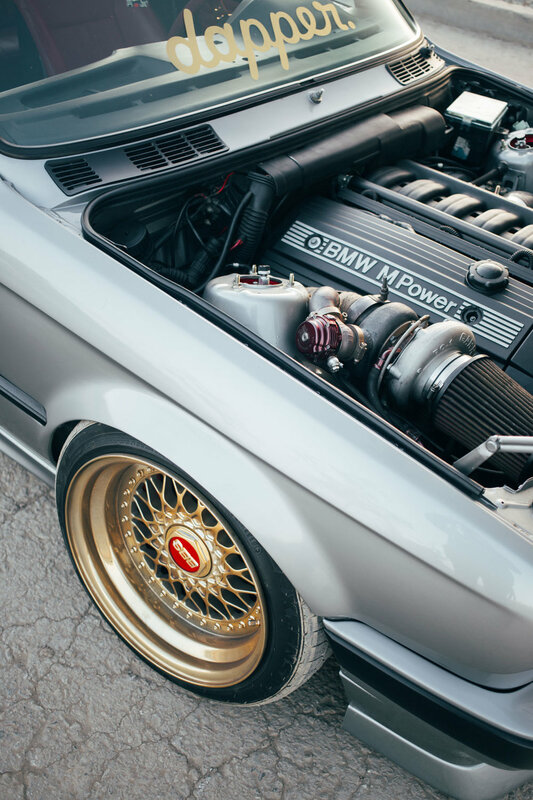 A single passion for cars grew at an early age and lead him to acquiring his first car, an E46 M3. 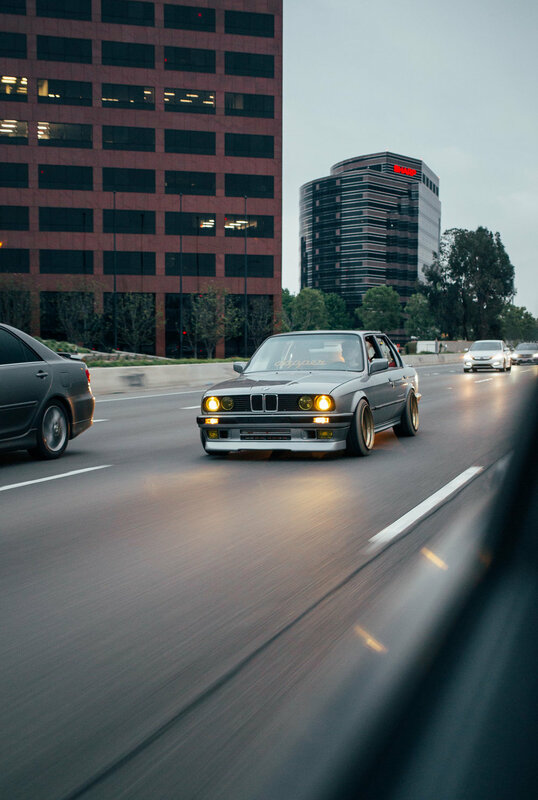 However, he didn't feel as connected on the road in the E46 and since all his friends owned E30's, it inspired him to buy one too. 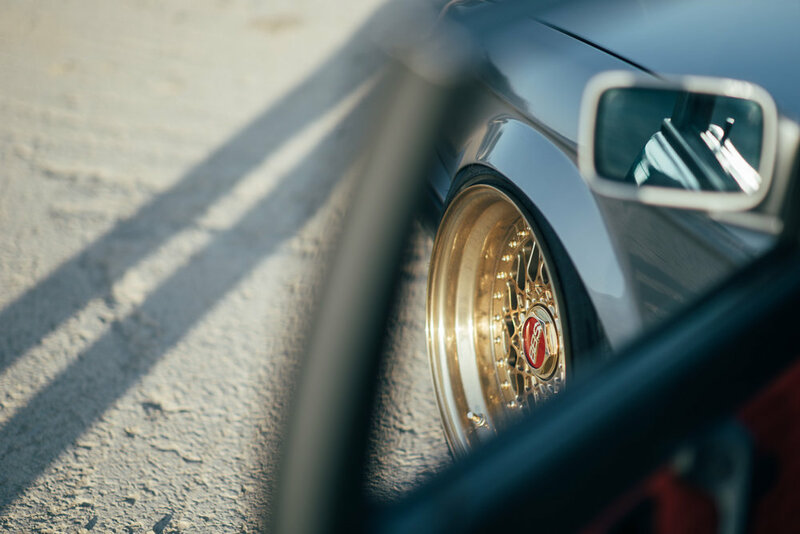 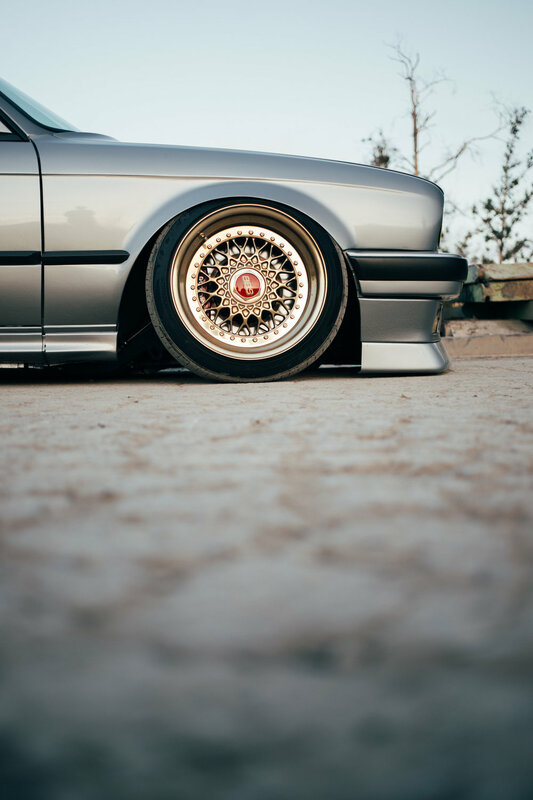 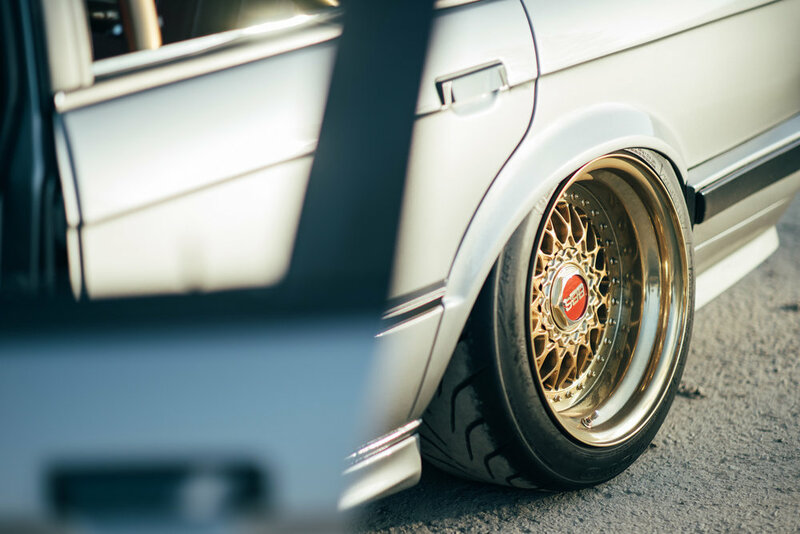 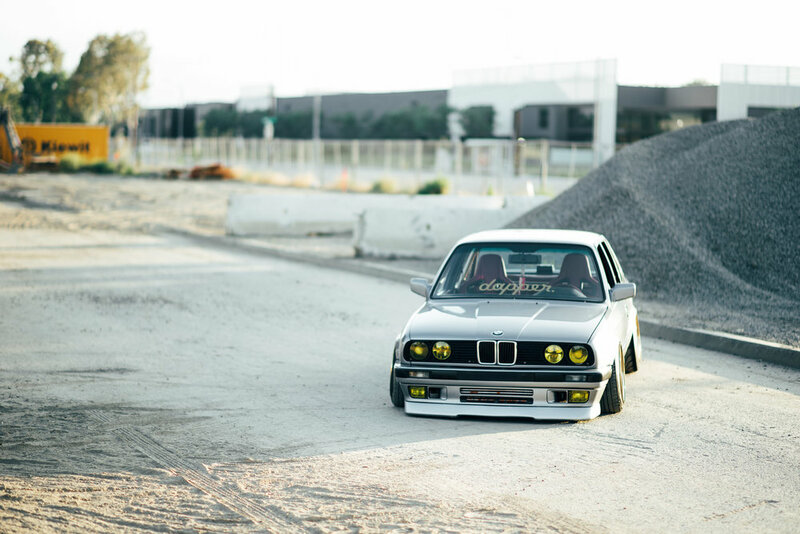 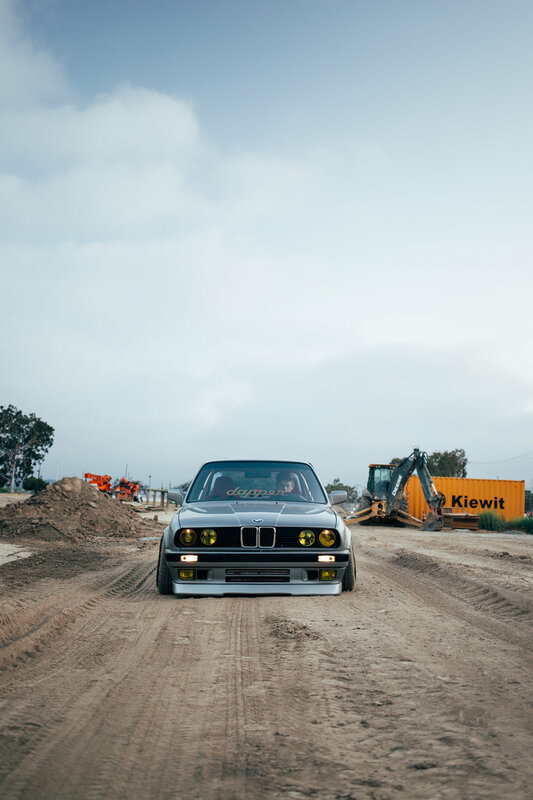 After owning the E30 for a little shy of 2 years, he wanted to do something special with it to make it stand out, and so he decided to take it to Boden Autohaus... 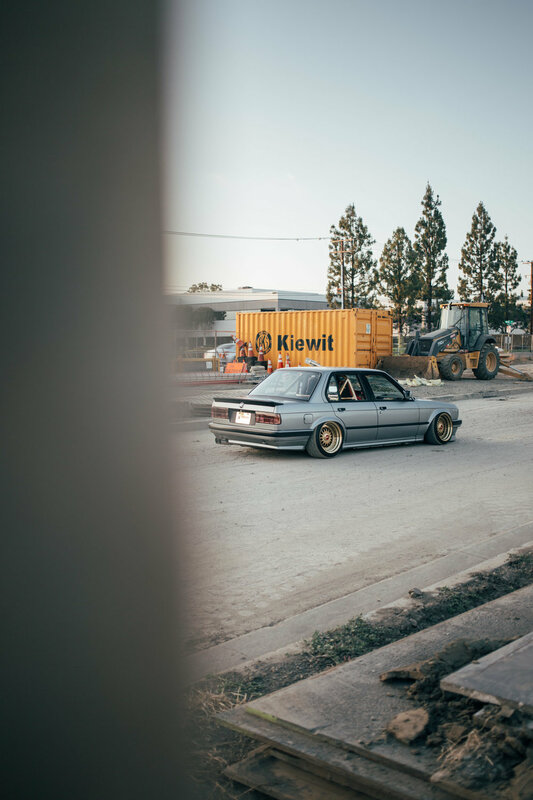 Which is where I first spotted it. 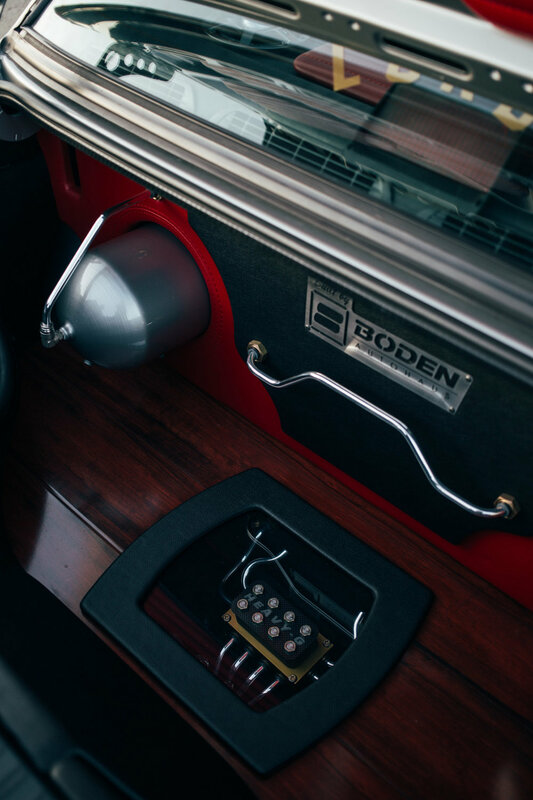 The guys at Boden have done majority of the work, from installation of the AccuAir E-Level management system with air lift performance front and rear struts, to the gold auto power street sport roll bar/cage. 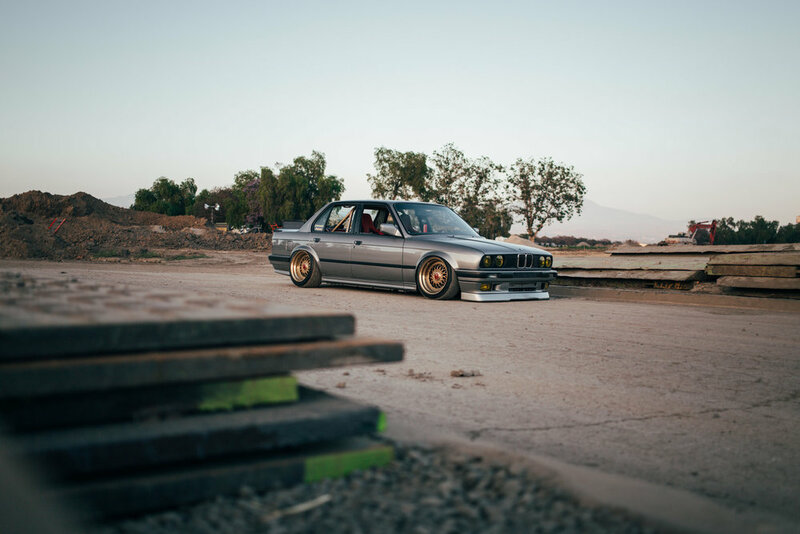 To match the gold roll cage, Garrett also went for a gold set of BBS RS's (RS003, RS045) built by Ehrlich Wheel Works, CA Tuned upgraded 700hp axles, welded axle supports, Bimmerworld track solid control arm mounts, new Stop Tech slotted rotors, brand new brake pads + a nice set of Toyo Tire R888's. 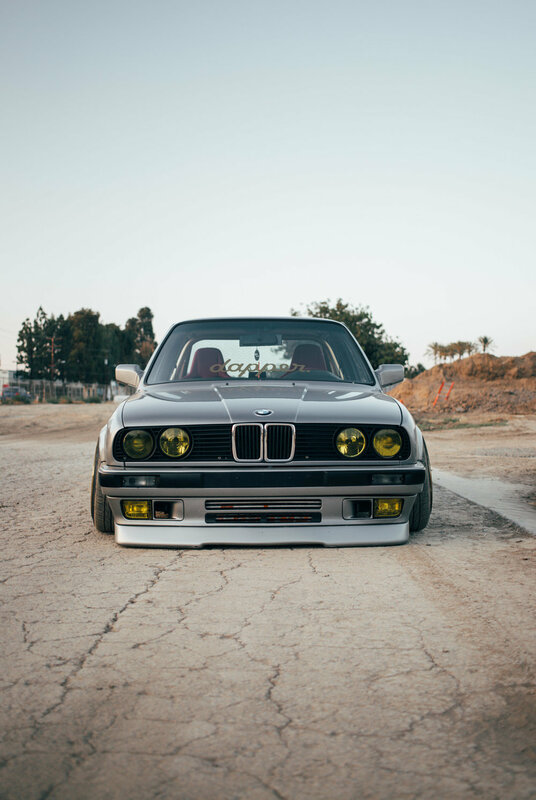 To complement the gold accents, Garrett got the car fully resprayed in Lachssilber, and added a set of smiley smoked head lights, Abrahams Motorsports smoked reflectors, a Euro grill with a late model bumper swap, SRS side skirts, DTM Fiberwerks rear apron, Reiger Infinity front lip, and an E28 rear spoiler. 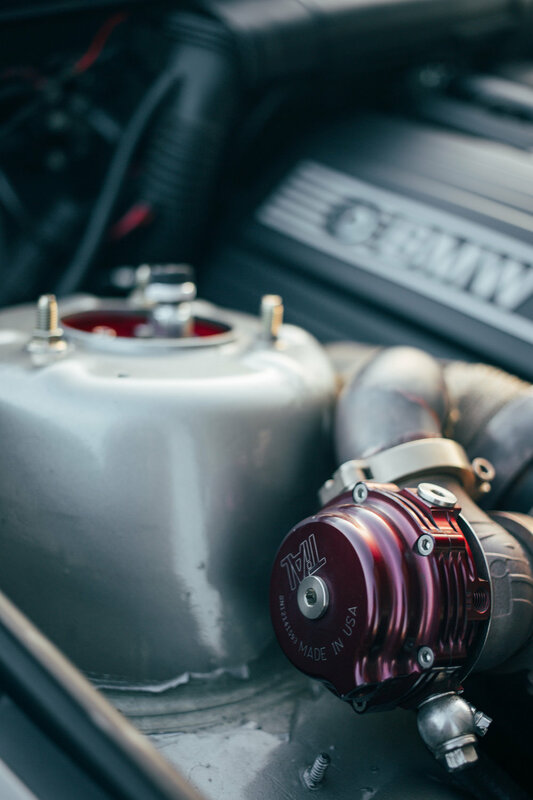 Under the hood, the E30 has a S52 engine from a 1999 BMW E36 M3, a Garrett GT3582r dual ball bearing turbo, with an E85 fuel system. 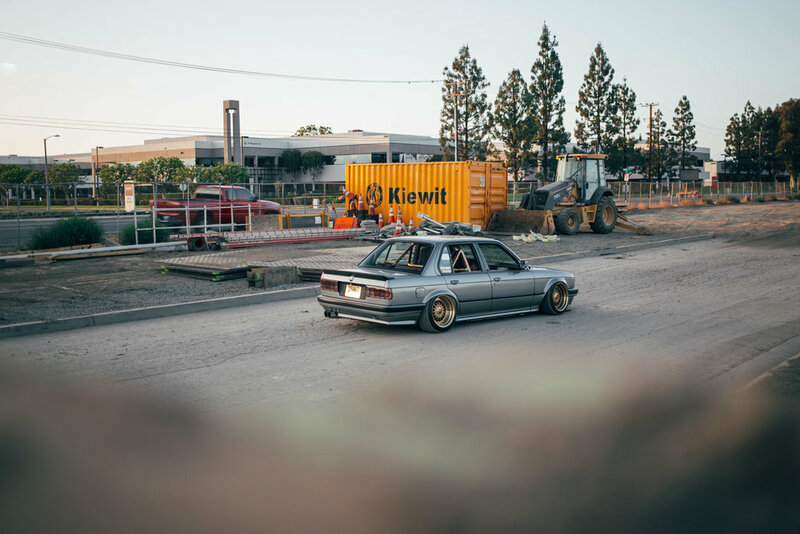 The car also has a long list of mods such as a Greddy type rs blow off valve, TIAL wastegate, full metal charge pipe w/ welded on MAF, RK Tunes Siemens 60lbs injectors, new top end gasket, ARP headstuds, MLS .140 head gasket, nuke fuel rail, new oil pan gasket, bottom end bearing, new piston rings, Castro Motorsport DTM style tunnel mounted shift plate (deletes selector rode), M roadster gear selector, E36 M3 for transmission, twin disk 850 series race/street clutchmasters clutch, new stainless steel clutch line, new remanufactured drive shaft, new center support bearing and guibo, 2.93 LSD, new Bear E36 M3 radiator, tuned in person at Castro Motorsport by RK Tunes. 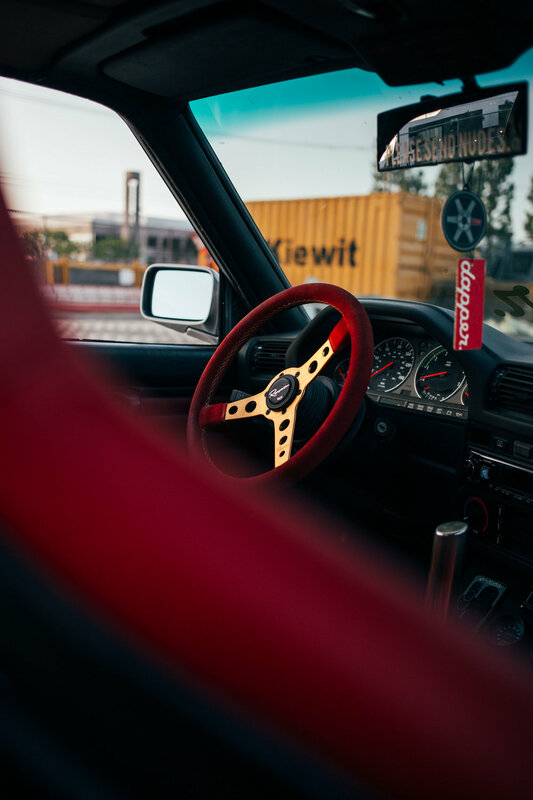 And for the interior, Garrett has chosen red leather Recaro sportster CS seats with full carbon fiber backs trimmed by Plush Automotive from Germany, custom upholstered Cardinal red leather bench rear seat to fit roll cage, full custom trunk display including dual 3 gallon air tanks, hardwood, dual compressors, hardlines, plexiglass window, black & Cardinal red leather, dual fiberglass subwoofer enclosure for 2 12" JL audio w7 subwoofers, 1600 watt performance technique amp & capacitor, Cardinal red leather trunk lid inserts, and a Rennstall 24k gold plated tk1 shift knob. 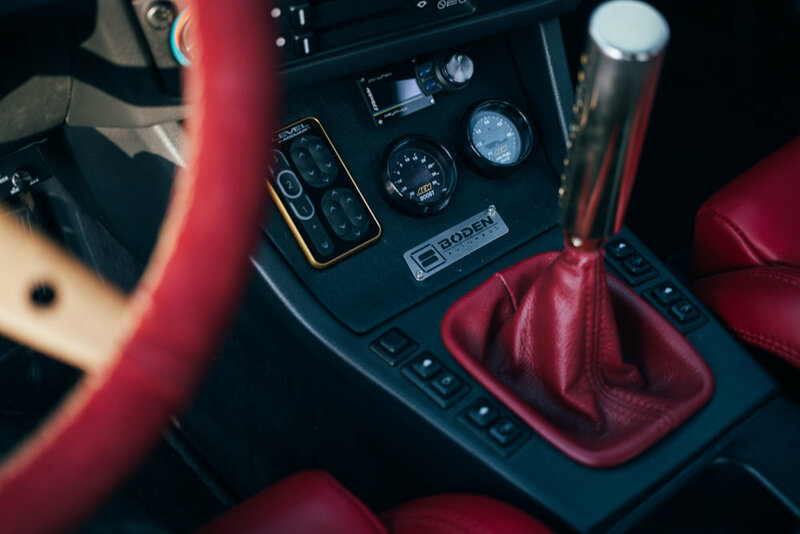 He also has a red Renown "Chinese New Year" custom steering wheel with gold stitching, a Momo adapter, custom made upper deck lid with Cardinal red and black leather, 4 Momo Polk Audio door speakers with tweeters, custom black and red door cards, and a Cardinal red leather shift boot. 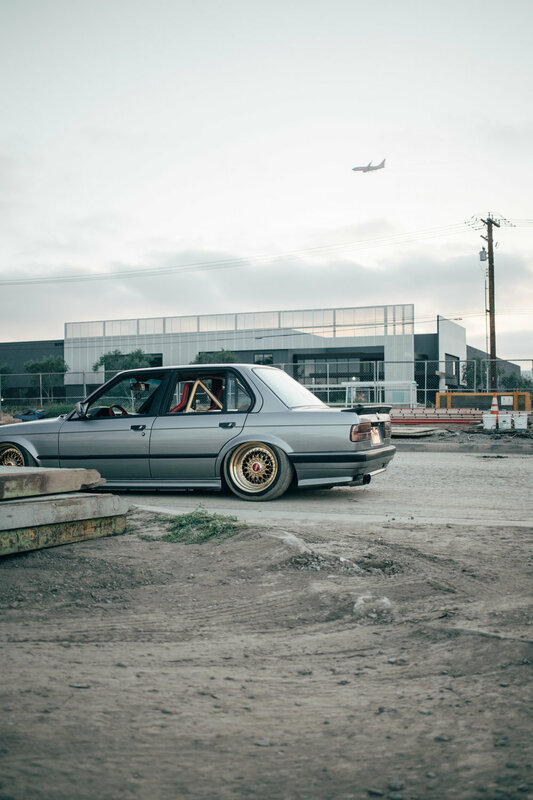 To me this car is undeniably one of the cleanest and aesthetically pleasing BMW builds out there. 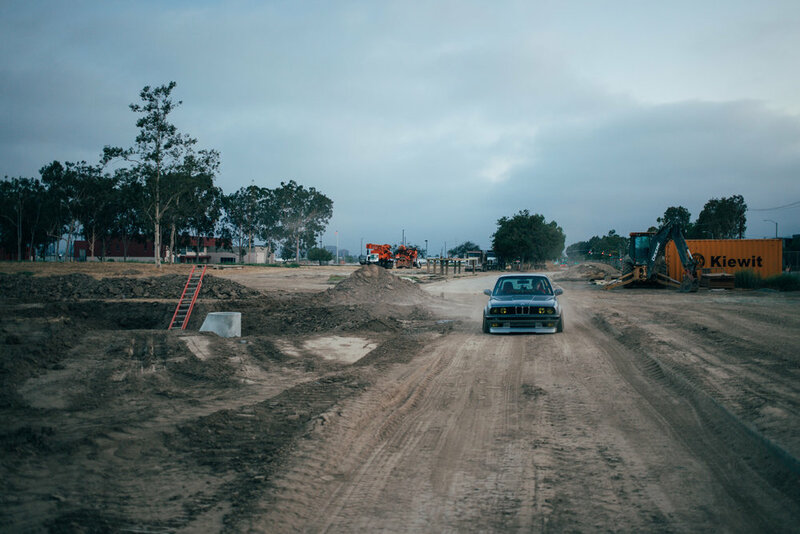 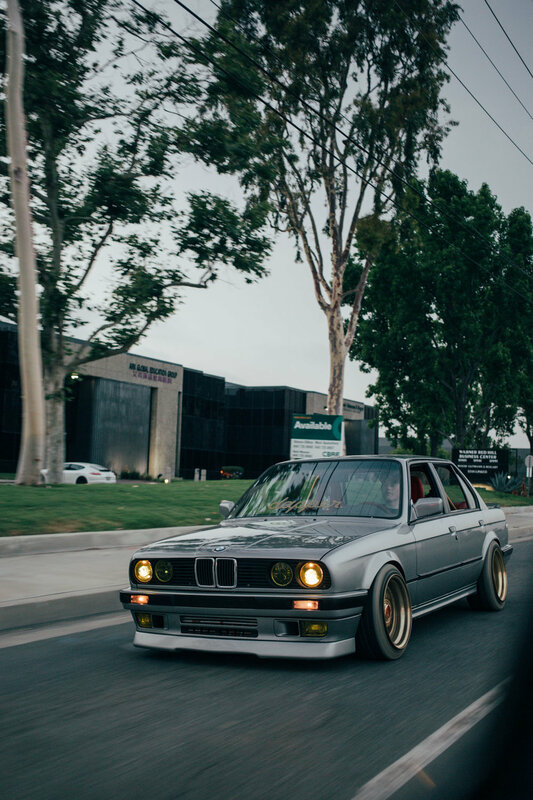 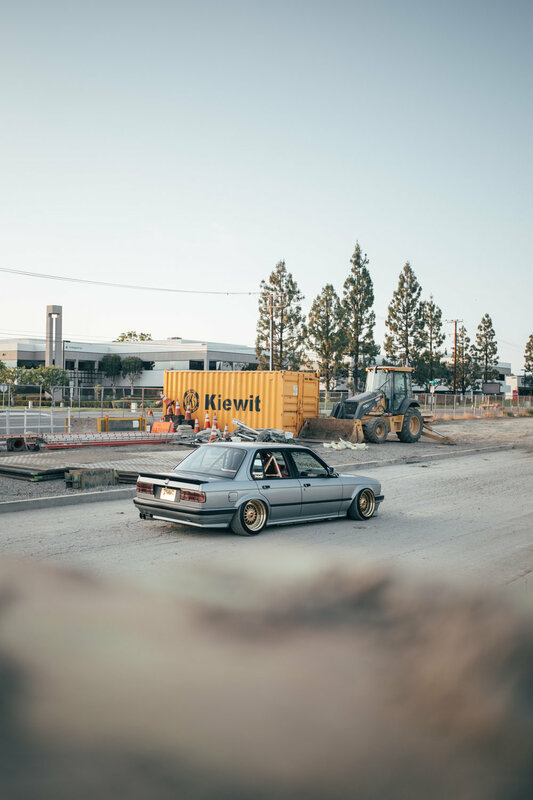 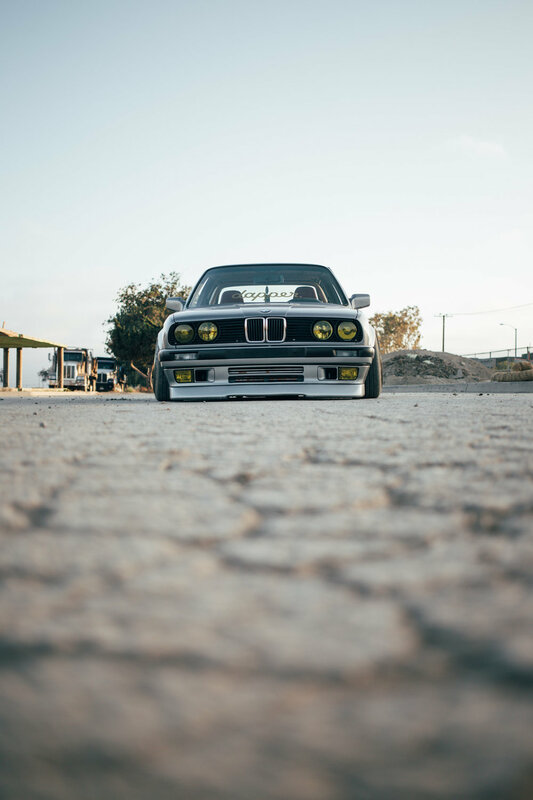 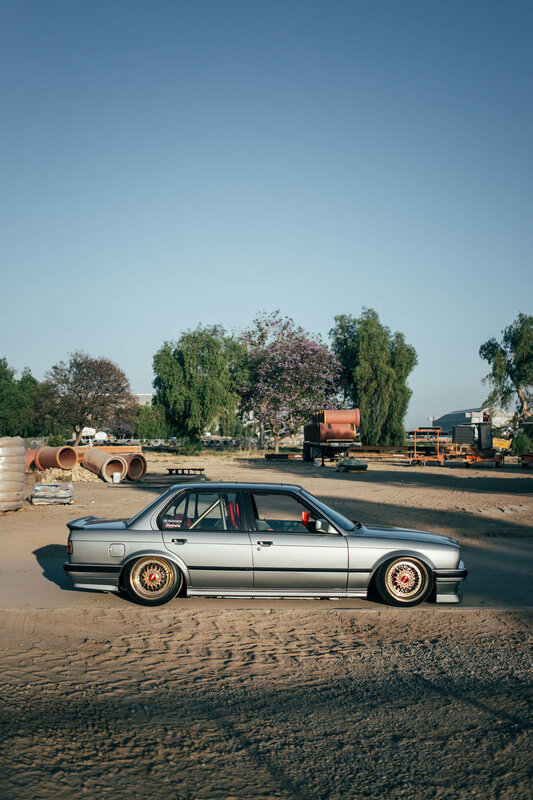 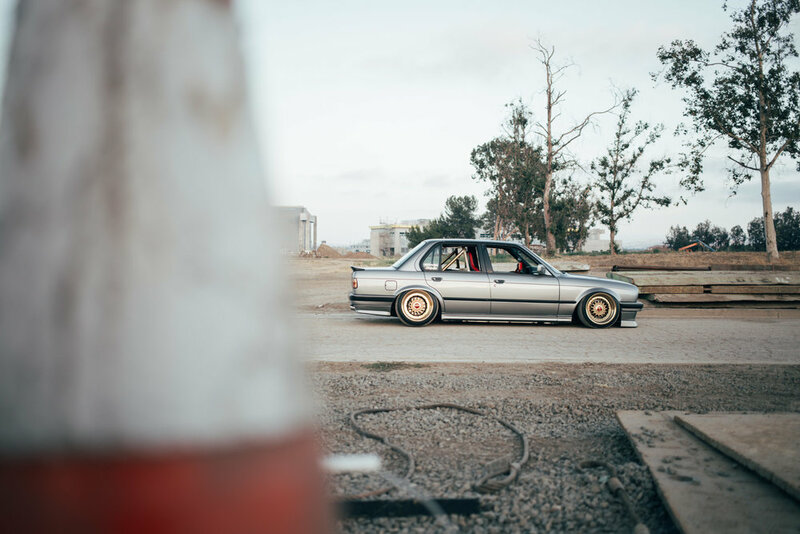 More often than not, E30's tend to be abused, cut up, and tossed aside when they're complete, but Garrett has clocked many miles on the car since picking it up from Boden Autohaus, driving it almost non-stop. 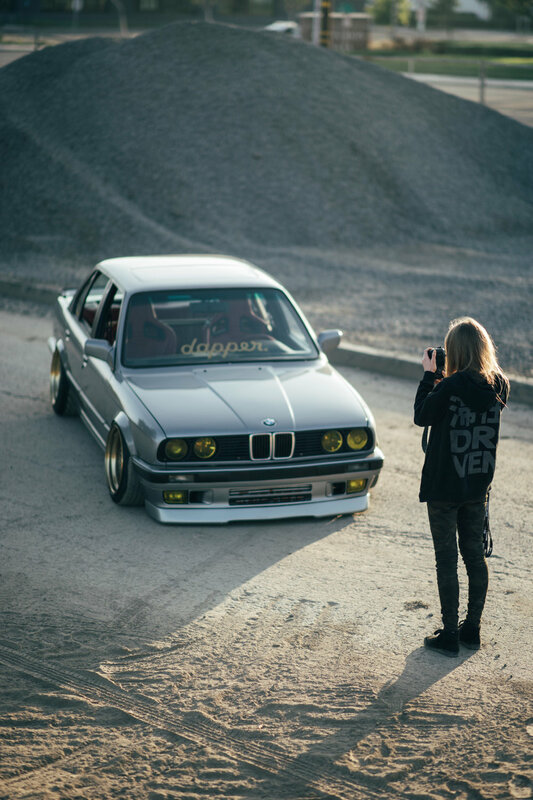 Make sure you keep up with Garrett and his car on IG: @og_chedds!